Surgery LIFE Enhancement together with Phallocare is a leading medical provider of penile enlargement surgery procedures for men & the #1 service offering the popular phalloplasty surgery alternative, non-surgical PMMA girth augmentation injectable filler procedures. SLE male enhancement procedures are performed in a modern, sterile, state of the art surgical center—not in an office chair or exam room! Penile enlargement health can be a wonderful experience when the right male enhancement clinic is chosen from in-depth research pulled from relevant public health sources. SLE is a medical clinic with years of surgical experience & staffed with understanding men that have first-hand knowledge & experience with surgical and nonsurgical penile enlargement procedures—a huge advantage Surgery LIFE Enhancement's Phallocare has over any other penile enlargement clinic. World renowned, Surgery LIFE Enhancement's Phallocare goes well beyond surgical penile enlargement & offers a variety of nonsurgical male enhancement options including glans augmentation with HA, PMMA girth injections, & penile weights and stretching programs designed for men's safety & comfort. At SLE, we understand the penile surgery method may be the last option you may be considering for enlargement options. SLE has years experience in all male enhancement methods—comparing all contemporary male enhancement techniques, we know with certainty which enlargement methods effectively work for men's permanent size goals. PMMA girth augmentation is a leading method for permanent penile girth. 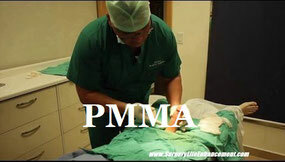 Medical PMMA also adds flaccid length. 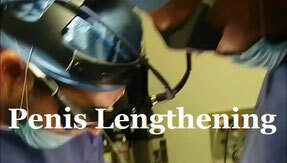 SLE penile lengthening surgery is performed while the patients phallus is in the erect state, under traction. 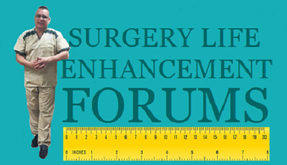 Confidential online community where men can share and learn about surgical and nonsurgical penile enlargement.